Contrary to popular belief, did you know that talking to yourself can be quite beneficial? Really! I kid you not! Did you also know that we have between 45,000 and 51,000 thoughts a day? That works out to be around 150 to 300 thoughts per minute! The shocking truth is that up to 80% of those thoughts are negative! All those sub conscious negative thoughts just waiting for us to hook into, feed and give power. We give those unhelpful or self-critical thoughts power by hooking into them, bringing them to our conscious awareness and breathing life into them with our belief that they must be true. Once we believe they must be true then they become our reality. We can also choose our thoughts. This is where talking to yourself comes in. By talking to your-self what I mean is to reframe the negative or unhelpful thoughts by reciting affirmations. Choosing to give your awareness over to helpful positive affirmations gives you back a sense of control of what you are choosing to hook into and believe. The negative and unhelpful thoughts don’t necessarily go away completely but without the fuel (our full attention and belief) they are no longer able to shine with triumphant glory. Up to 90% of what we think about gets carried over to the following days 51,000 thoughts. The gift I took from this information is to be very careful what you continue to think about. 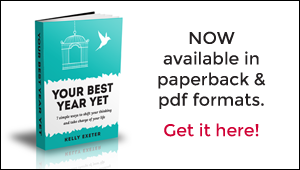 To get the best results from affirmations you first have to recognise the unhelpful thoughts and stories you keep telling yourself so that you may reframe them into thoughts and stories you would like to be your reality. Assert your authority with conscious awareness through affirmations. 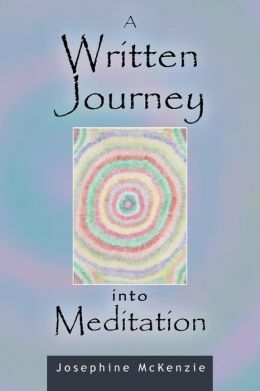 In her book “A Written Journey into Meditation” Josephine McKenzie shares with us pages full of helpful and positive thoughts, inspired from her own transformed reality. Now every person is different and therefore what might work for me may not necessarily work for you. It is through trial and error that you will find what works best. The amount of effort you put in will produce the greater rewards; it is not about my effort, it is about what you do with the information you are given. Only through effort can you truly believe. As I go through my journey of change, I am learning that the way in which I communicate becomes my reality. By having clear thoughts as to my intentions without any doubt, things begin to change. I trust myself, expect the best and bless the present. There is mindfulness in every step I take. I am the balance point in my life. My intention and my energy are aligned. Compassion is the food that feeds my soul. Energy flows where my motivation goes, motivations go where my energy flows. I let it go and let it be. This is the last post in the series featuring Jo’s beautiful book and I thank her for allowing me to share exclusive snippets from it here on the blog. You can purchase “A Written Journey into Meditation” here or by in boxing her here. I am very fortunate for Jo is my friend and therefore I’m privileged to have her physical and spiritual presence in my life on a daily basis. You too can connect with Jo daily via her Facebook page here or by staying at her healing haven Shanti Relaxation Retreat or why not give yourself a gift of a treatment with Jo. Thank you Jo. It’s been an honour and a pleasure to be a part of this journey. Thank you Sandra again for your support during the writing of “A Written Journey into Meditation” and your ongoing support now that it is released. The power of words should never be underestimated, the energy we place out into the universe answers your call, whether you really meant it or not. It is difficult remaining positive in a negative environment; you can change this through your own effort and stamina to resist falling back again. Seeing and reading and thinking positive affirmations on a daily basis assists in bringing this change a reality. Thanks again Sandra, as your writing continues to inspire others.